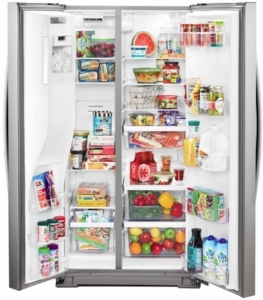 Side by Side Counter-Depth Refrigerator with 20.59 cu. 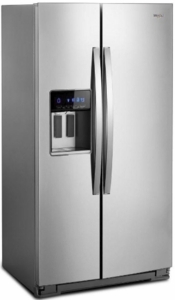 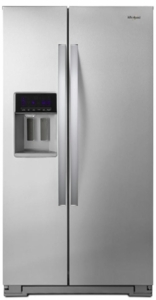 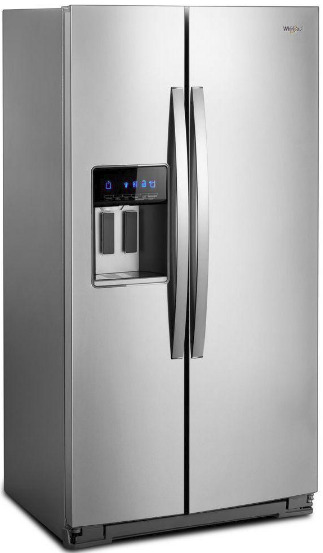 ft. Capacity, LED Dispenser Night Light, In-Door-Ice Storage, adaptive defrost, counter depth styling which gives you a premium, built-in look without the premium cost, by fitting virtually flush with your current counters and other kitchen fixtures. 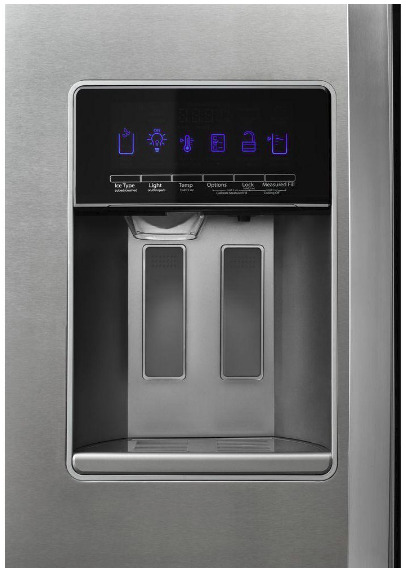 This unit also features Adjustable Gallon Door Bins and external ice and water dispenser.